Mission Viejo, CA – February 25, 2015 – CynergisTek, Inc. (AUXO: OTCQB), a leading provider of IT Consulting and Managed Services for the healthcare industry, announced today a partnership with HIMSS Privacy and Security Forum, as the lead sponsor. 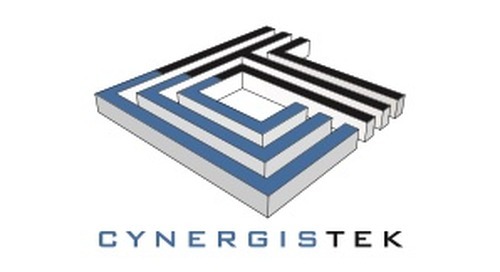 CynergisTek is helping healthcare work better through improving efficiencies, reducing costs and mitigating risks across an organization through its four service pillars; Security Process and Program Development, Regulatory and Penetration Assessments, Incident and Breach Response and Delphiis IT Risk Manager SaaS Solution. During the Privacy and Security Forum, CynergisTek’s Mike Gentile, Executive Vice President of Innovation and Security, will be a speaker sharing his expertise on Perception Management: 3 Tips to Getting the Security Program Budget You Need. “There is a dramatic delta right now between what healthcare organizations should be doing and spending on security and their perception of what is appropriate. Companies that are leaning on the 4% of IT Spend for security because this is what the research firms told them are probably going to learn some painful lessons; it is just that simple” says Mike Gentile. “But it does not need to be that way. Our session will provide three actionable tips utilizing a time tested methodology to give management the right information at the right time to make informed decisions about spend during these turbulent and unprecedented times” continued Mr. Gentile. By visiting CynergisTek’s booth, attendees will have an opportunity to speak with Mike Gentile, co-author of The CISO Handbook and receive a signed copy of this popular book used as course material for numerous advanced education and Master’s programs on security leadership around the world, it is the definitive guide to establishing and managing an effective security program. To register for the event visit the HIMSS website. Since 2004, CynergisTek has led the Managed Print Services industry by offering an innovative and customer driven approach for healthcare organizations. CynergisTek takes full responsibility for healthcare customers’ on-site print environment through situation assessment, process analysis, strategy development and program implementation. Hospitals and health systems benefit from streamlined and aligned processes and infrastructure that result in print management programs that reduce cost, increase employee productivity and meet and exceed patient care standards. CynergisTek, through its recent acquisition of Delphiis, an Information Security company providing IT Consulting and Managed Services, in addition to Risk Management SaaS technology solution, brings a unique offering to the marketplace to ensure enterprise-wide security and improve patient experience through cost-efficient print and digital information technology solutions. CynergisTek serves a national portfolio of over 120 hospital campuses and manages over 1.3 billion documents annually from over 60,000 devices supporting over 250,000 caregivers. CynergisTek’s Managed Print Services’ business model is vendor neutral, provides full-time, on-site customer service and technical experts and is exclusive to the healthcare industry.